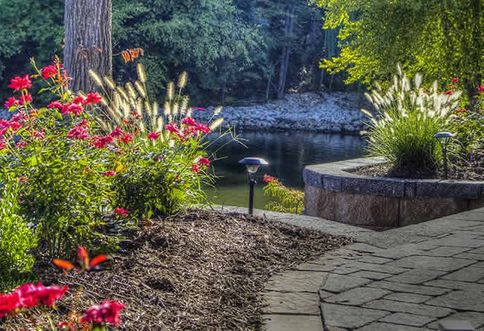 At "Green Side Up", we are focused on providing Lawn & Landscaping services with the highest levels of customer satisfaction – we will do everything we can to meet your expectations. Taking advantage of the professional lawn care services available from "Green Side Up" will not only improve the beauty of your property, but also help you free up your time to do the things that you would rather be doing. 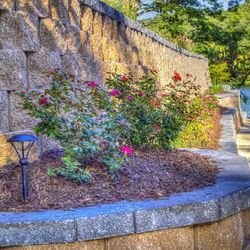 Everybody wants to show off the beauty of their home and its surrounding landscape but not everybody wants to spend all of their free time on lawn care – shrub and tree pruning, edging, mulching or weeding, cultivating and fertilizing. Luckily for you, this is where the lawn care services from "Green Side Up"come in. Many of us look at the spring and summer as a time to relax, spend time with our families and simply make the most out of our free time to enjoy life. When we think of summer vacations, long hot days of hard work performing lawn care is not the first thing that comes to mind. However, proper lawn care and maintenance is required to keep our landscapes looking beautiful and relaxing. 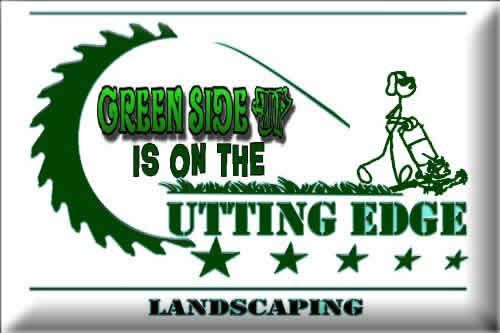 Lawn Mowing - "Green Side Up" sharpens their blades everyday to ensure your grass is cut cleanly and concisely. Bagging or Mulching - "Green Side Up" is flexible and will work with the homeowner to achieve their desired results. String Trimming - "Green Side Up" crews always trim to give your lawn that fresh finished look. 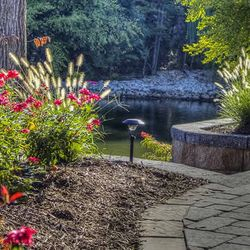 Everybody wants to have a healthy and beautiful looking landscape to complement their property. A healthy lawn is going to be able to better withstand the pressures from insect attack, disease and drought. The lawn will also be in a better position to compete against unwanted weeds. In order to help maintain a healthy lawn, you can ensure that proper overseeding methods are put into place as well as the proper timing of lawn maintenance practices such as watering, liming, fertilizing, and mowing. Over a period of years a lawn can sometimes deteriorate to a point where it simply cannot be nurtured back to what is considered an acceptable level of quality through the use of standard practices such as watering and fertilizing. A thick infestation of hard to manage weeds, substantial thatch accumulation, excessive insect damage or disease and the spread of unadapted grasses can leave a lawn in extremely poor condition. Lawn renovation may be the only option for a landscape that has fallen into conditions such as these. Lawn renovation involves the process of eliminating all of the negative elements that are the cause of creating the poor quality. Once the negative elements have been removed, the lawn is reseeded without completely tilling under the lawn. This process of lawn care and renovation may be as simple as reseeding only bare spots, or as complex as killing all the vegetation and then re-seeding the entire lawn. 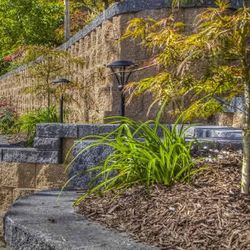 If the lawn has been overrun and consists of at least 50% weeds and other undesirable types of grasses, complete lawn renovation is typically going to be the best option. Controling weeds in your lawn & plant beds is part of a regular maintenance schedule & is vital to the overall look of your landscape and the health of your lawn & plants. Our crews will help you manage any and all weeds that come up before they become an eyesore. Applying a pre-emergent chemical and having a good weed barrier fabric in your beds greatly helps in reducing weeds from ever emerging. A custom lawn fertilization program will help keep your outdoor areas beautiful in every season. We can create and implement a lawn fertilization regiment to ensure a healthy, long-lasting lawn. 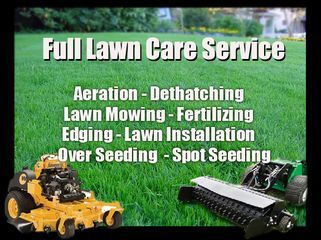 We will come to your home and handle all lawn fertilization applications. With our lawn fertilization services, your property’s grass will stay lovely and disease-free — and your neighbors will be begging for your secret! Bed Layout - Shrub and tree size, color, and placement are crucial factors, which "Green Side Up" is skilled in. 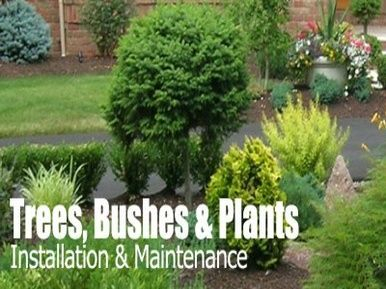 Tree and Shrub Installation - "Green Side Up" understands all the varieties of trees and shrubs and will always make the proper choices for your situation. Proper installation ensures healthy growth and a long life. Perennial Gardens - Let "Green Side Up's" full familiarity with new & interesting varieties make your garden pop. 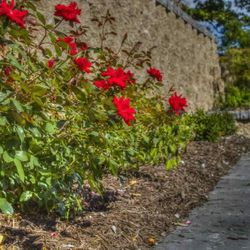 Beautifully mulched beds enhance the beauty of your landscape, encourage moisture retention and drainage, reduce weeds and provide the perfect setting for your plants. Let "Green Side Up" deliver the mulch & have our expert crews install it for you. The height of fall signals the need for lawn care services. During the fall clean-up of your lawn and garden it’s important to have any fall debris removed from the landscaping, especially any dead leaf buildup. Raking leaves can be very time consuming. We can make sure that your lawn is clear of dead leaves, sticks and other debris that commonly liters your lawn during the fall. Now is also the perfect time to remove any annuals which will not survive the cold months ahead. Any plant life that will be able to withstand the winter or return after it passes should be protected and maintained. Keep your lawn green all summer with a new irrigation system. "Green Side Up Landscaping" can install an irrigation system to cover your entire yard, or your flower beds. Once it's installed, we are happy to provide ongoing service and maintenance for your system, including winterization and de-winterization. Have an existing irrigation system in need of maintenance or repair? "Green Side Up" can assist you with that too! We service the entire Lake of the Ozarks area! Don't get stuck after a big snow! 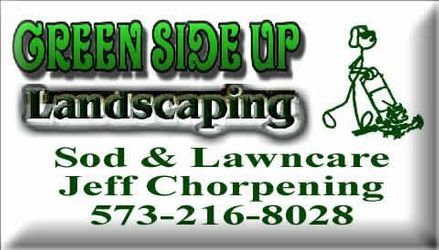 "Green Side Up Landscaping" also offers snow removal and ice remediation services at Lake of the Ozarks. Whether you live on a main street or down a long winding Lake road, we can handle it! We service Sunrise Beach, Laurie, and surrounding areas.